The next generation of running belt is here! The bodbud steps up the comfort and practicality while turning up the style. Designer piping and premium material along with design function are brought to you in slate grey only! They clearly want you to conform to a uniform. 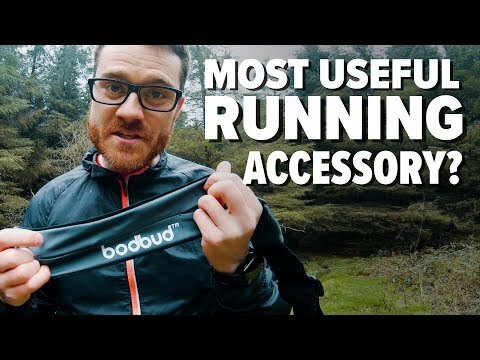 We review the running belt by BodBud and give you the option to too! Purchase on Amazon with prime for next day delivery and benefit from other services like Amazon prime TV and Video worth the money in itself but in 2019 showing 19 premier league matches for free! We look at some gear you might like for 2019 in running. Fitness band the Gear Fit Pro2 and some trail running shoes for the wet trails where your grip is important. We focus however on running belts are consistently being bought and worn by runners. WHY? They help keep things comfortable such as removing keys and mobile phones from pockets is the main advantage. Running can get hard and pockets are much better left empty. Is the Kastking Royale Legend the best baitcaster reel out there? Based on a number of key factors not limited to the affordability of these excellent reels the royale legend is a good bet. The Sharky Baitfeeder 3 is a baitrunner style reel that is designed to stand sea fishing rigours. It also makes an excellent all round carp or pike reel however. For smaller sessions and even stalking the trakker NXG 2 rod holdall is a great choice. It features padding, a nice thick zip external brolly and pockets to take auxiliary items, I have used it to fit a rod pod. It has a dedicated landing net pole pocket. The Trio Surf is a reel designed to cast good distance with it's spool length and technology within the reel itself. Thanks to the ridiculously high cost that thomas cook are placing on fishing rods I have found a better solution in the Shimano STC (Travel Concept). Coming in a range of sizes and strengths there should be one to suit you. This is the extra heavy 50g to 100g casting weight which should make a decent surf spinning rod. Do you fish and like to share your adventures with the world? If the answer is yes then you might like to join WORLD FISHING ADVENTURES on facebook group. How surfers are doing it standing up. Soccer in Australia is officially know as Australian Football and was introduced in the 19th century. Particulars of the games foundation are obscure and often the subject of much dispute. Soccer in Australia is officially know as Australian Football and was introduced in the 19th century. Particulars of the games foundation are obscure and often the subject of much dispute. Australian rules became structured in Melbourne in May 1859, when the first laws of the game were published by Melbourne Football Club.